We unite artists working in the dry pastel medium, promote enjoyable art activities, nurture artistic growth, and create awareness of the versatility and value of pastel fine art among our members, the public, gallery owners and art collectors. To be a highly active art organization, fostering the skills and camaraderie of our members while encouraging a community awareness of pastel fine art. The Tucson Pastel Society is an active and vital art organization for pastel artist to flourish, fostering the skills and camaraderie of its members while encouraging a community awareness of dry pastel fine art by offering exhibitions and events. TPS is a non-profit 501 (c)(3) organization established to advocate and promote the pastel medium and have fun doing art in the communities it serves. TPS sponsors programs, exhibits and events that encourage and support the artistic goals of its members; provides opportunities for members to experience fun and camaraderie; offers professional development among its members; unites artists who enjoy working with soft pastels; educates and promotes the appreciation of pastel fine art; interact and collaborates with other art groups and organizations; engages in community outreach; contributes charitable donations to worthy causes and groups; and inspires artists to dream, discover, create and celebrate individual creativity. Membership is open to all individuals, students, businesses and organizations, who have an interest in fine art, and pastels in particular. TPS serves cities, towns, municipalities and residents in the State of Arizona and collaborates with other art groups, guilds, societies and organizations around the nation. I just wanted to get everybody together, so we could all share information & paint! The popularity of the group grew quickly, and soon became too large to meet at her house so monthly meetings were moved to several different locations, and are now currently held at the Tucson Pastel Society Building at 2447 N. Los Altos. The building is one block east of 1st and 1/2 block north of Grant. © 2014 All Rights Reserved. Original Artwork and images used within this site belong to Tucson Pastel Society or to the individual member artists. 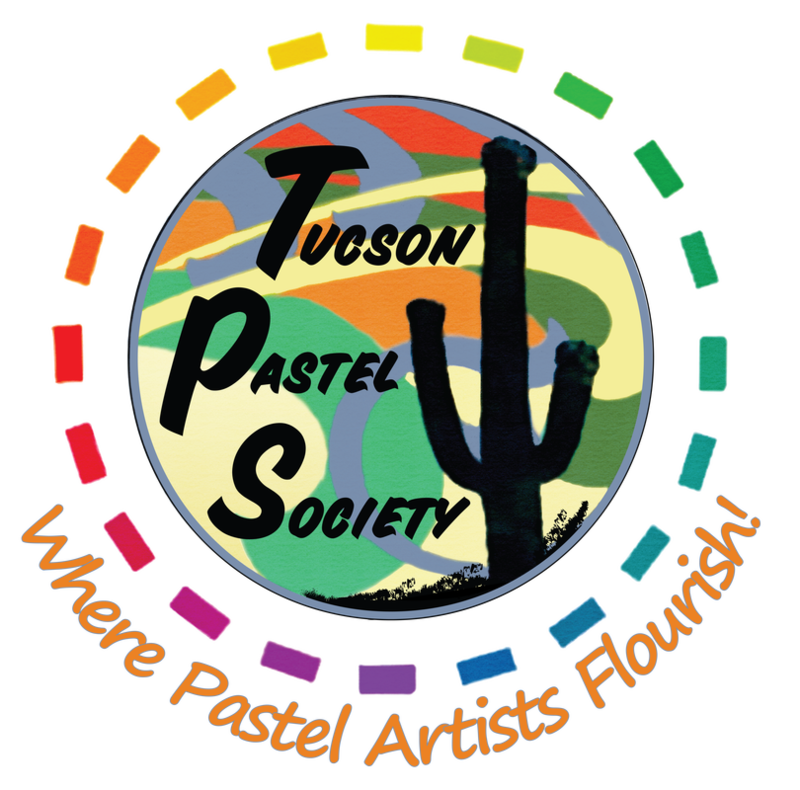 Contact the Tucson Pastel Society for written permission to publish any materials retrieved from this site. See the Membership Page or come to one of our meetings! TPS logo designed by our own member, Carolyn Robles.